FUNCTION FOLLOWS FORM at the Rigid String Level, with a Pairing-Splitting Dark Matter Black Hole . 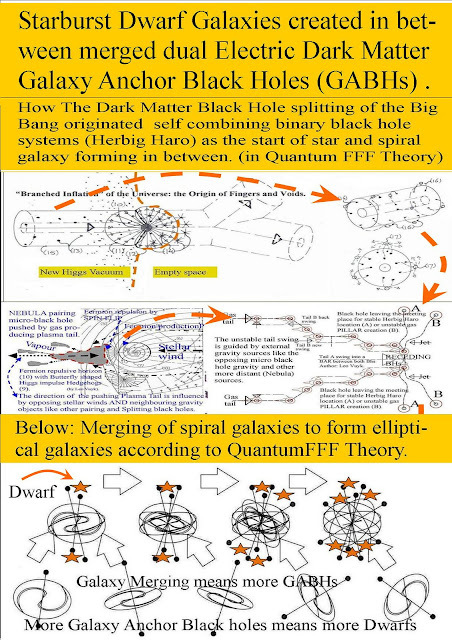 : Tadpoles: ( NOT PLANETS) but young black holes propelled by plasma tails looking for a partner, forming a HH system. Tadpoles: ( NOT PLANETS) but young black holes propelled by plasma tails looking for a partner, forming a HH system. Tadpoles are young black holes (former starspot black holes expelled by supernova explosions) propelled by plasma tails looking for a partner, forming a HH system. 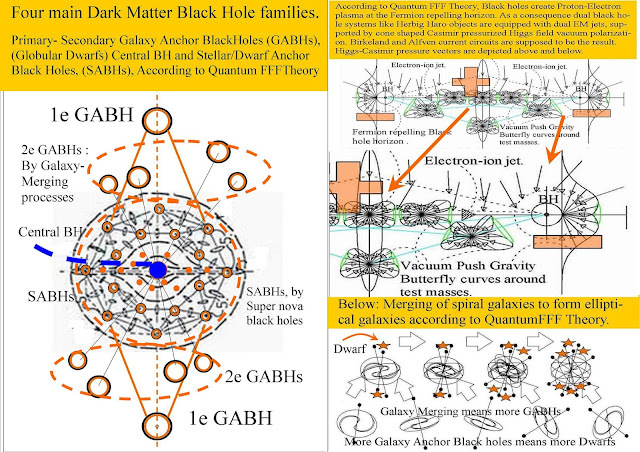 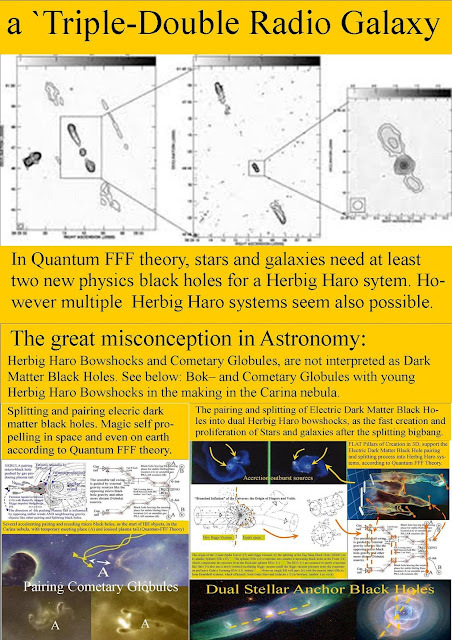 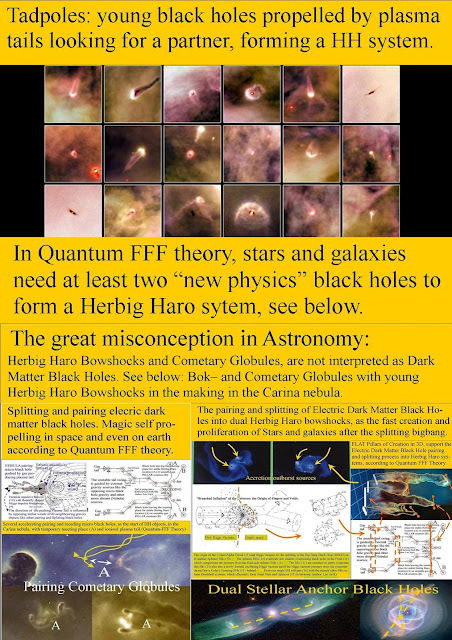 In Quantum FFF theory, stars and galaxies need at least two “new physics” black holes to form a Herbig Haro sytem, see below. 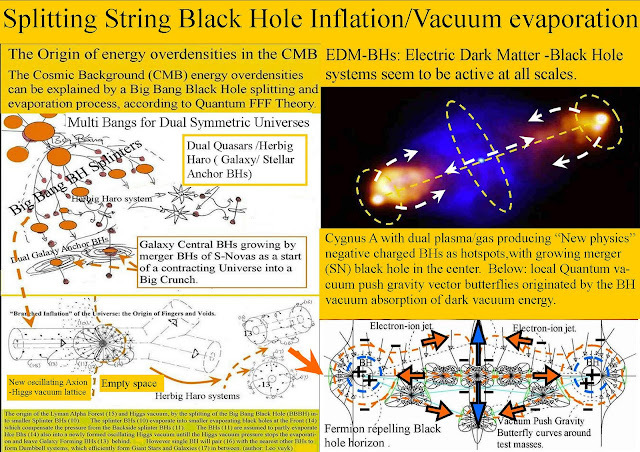 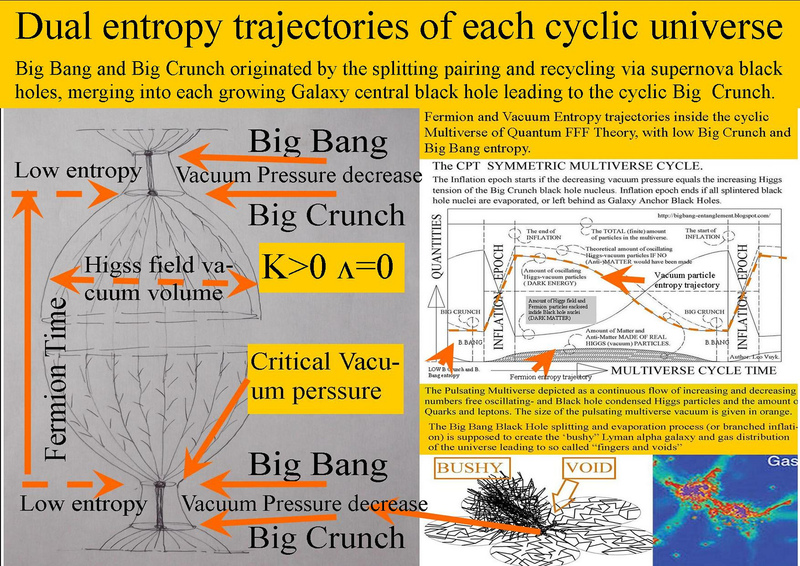 see also: An Alternative Stringy Black Hole nucleus with Entropy Decrease and Plasma Creation.